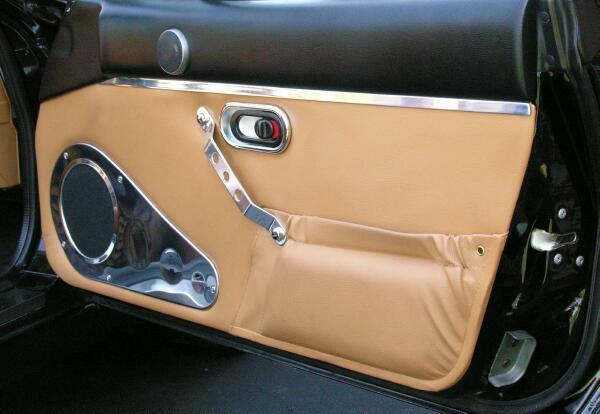 The East Coast door accent trim is designed to add a bit of flair to your door panels. solid color panel and add some brightness and color to the panel. These are not your cheap run of the mill accent pieces. finish of a polished aluminum interior kit. The trim may also be ordered in a Polished Finish as well. Installation is a breeze and takes approx. 20 minutes to complete. 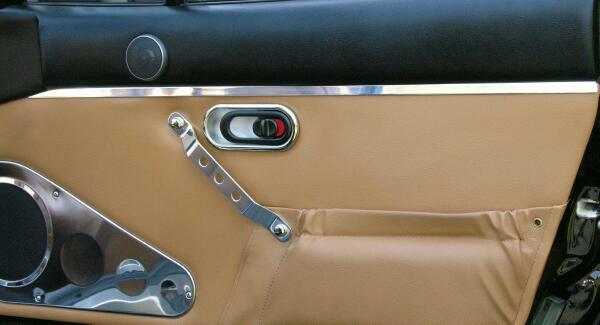 The Trim Will Fit All 1990 - 1998 Miata's and are made to order. Pieces will ship within one week after placing order. Price: $40.00 (Pair) + $10.00 Shipping.